Rayleonard 04-ALICIA White Pearl Ver. 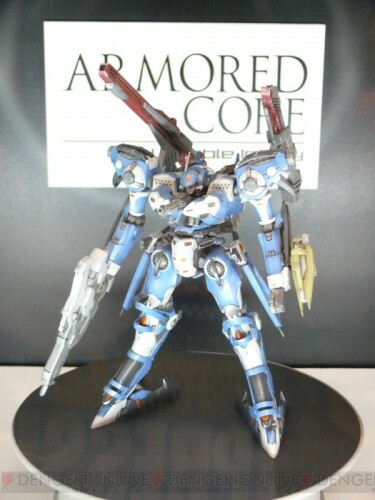 Here are some pictures of the Armored Core: Last Raven version of Evangel’s Oracle, soon to be released by the end of December this year. Collectors should be happy to know that this kit will contain a new set of legs (DINGO2) and a core (C89E) never seen in any AC kit before it in addition to the GERYON2 back-mount. The Last Raven incarnation of Oracle seems to be a confirmed kit, and a fully painted sample exists as seen above which might make its debut sometime this year. That Kotobukiya tweet we covered the last time might lead to this. 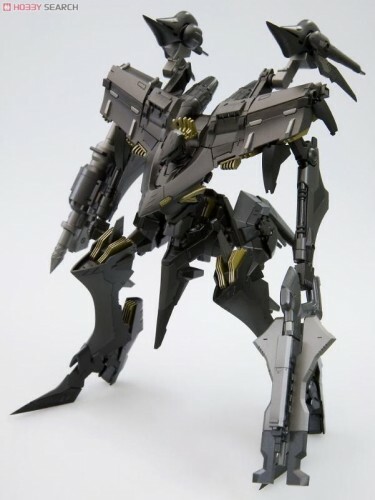 The Last Raven version of Oracle, the featured AC back in Armored Core Nexus with a few tweaks, namely a change in legs, core, and a different back mount. 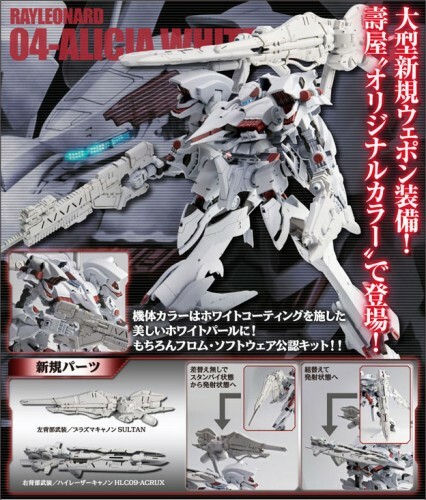 Could this be the upcoming AC kit that will soon grace our shelves in the coming months? Stay tuned to find out. Oh you’re my only sunshine! 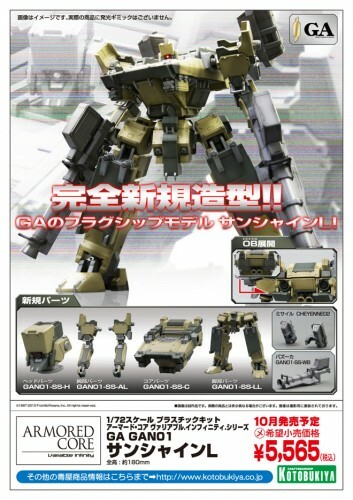 The GA SUNSHINE model kit we were hoping to exist will indeed materialize soon. The kit seems to feature a dessert tan finish, two sets of two weapons (CHEYENNE-02 missiles and the basic GA bazooka), which makes it essentially a stripped down version of the game version’s weapons (much like the Rosenthal kit prior to the Noblese Oblige release). Still we’re pretty excited for this one. Dare I say that I’m screaming like a fangirl along Otome Road? 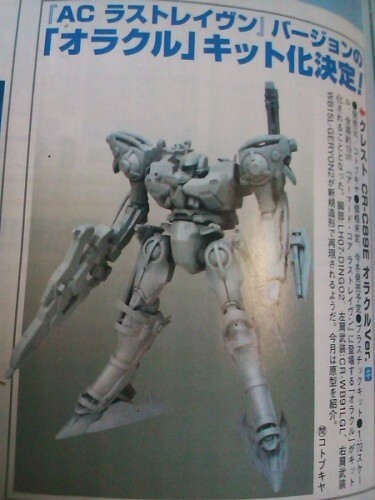 This scanned picture from the latest issue of Hobby Japan (or Dengeki Hobby Magazine, we really couldn’t tell) shows what seems to be a planned model kit from Kotobukiya’s Variable Infinity line of Armored Core models. 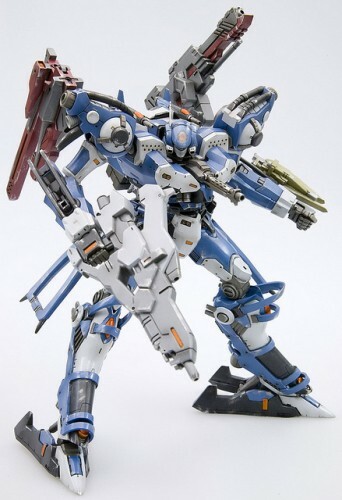 This next attraction comes in the form of the GA SUNSHINE, one of the default corporate sponsored ACs available to the player in Armored Core 4 and Armored Core: For Answer. 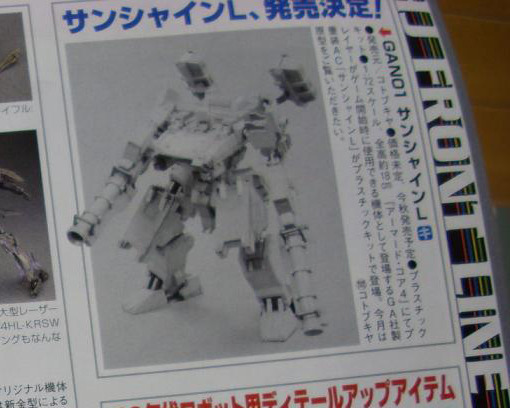 The kit appears to feature two bazookas and two missile packs, though this may change as time goes by. 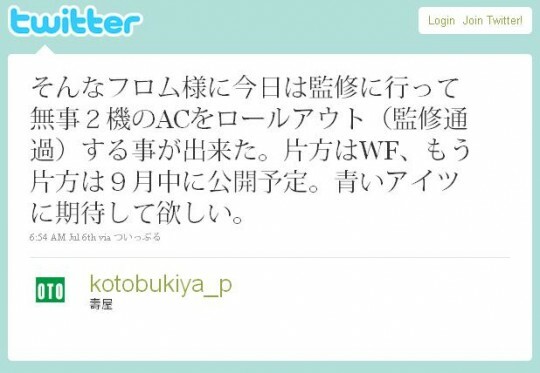 No plans for a release date as of the moment, but it is definitely something to look out for if you want an AC on the heavy side. Thanks J.E. for making us go Kyaaa~. Awesome LEGO Mech – Now With Instructions!